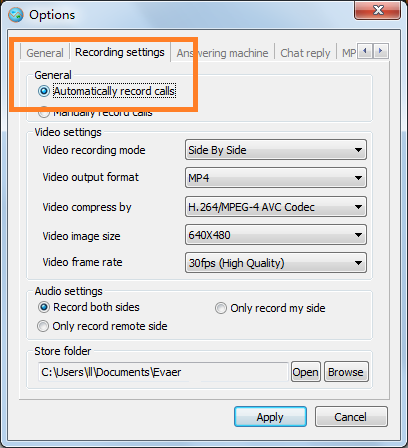 Evaer video & audio call recorder for Skype - How do I enable the automatic call recording feature in Evaer? After you enable this function, when you place skype video or audio calls, the Evaer Skype video recorder will help you record the calls automatically. You can also pause the recording or stop the recording manually during the call recording at the record main window even you use the automatic call recording function.